The brush skimmer uses a circular oleophilic water repellent brushes as the recovery method, with its main capacity the ability to repel water and stick to hydrocarbons. This principle ensures the high recovery performance of hydrocarbons whatever the environment with a minimal content of water (less than 5%). 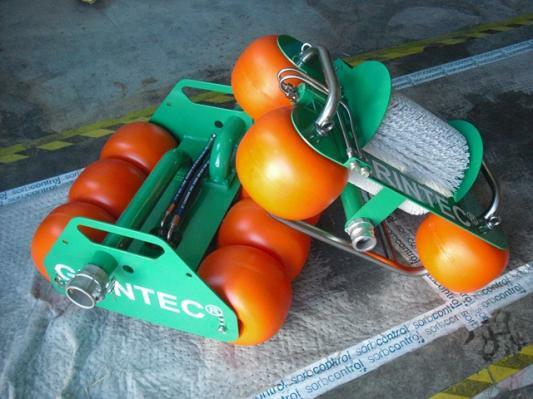 Application: Recovery of hydrocarbons of all types and viscosities found in the sea, rivers, lakes. They can be installed in decanters, oil separators, rafts.